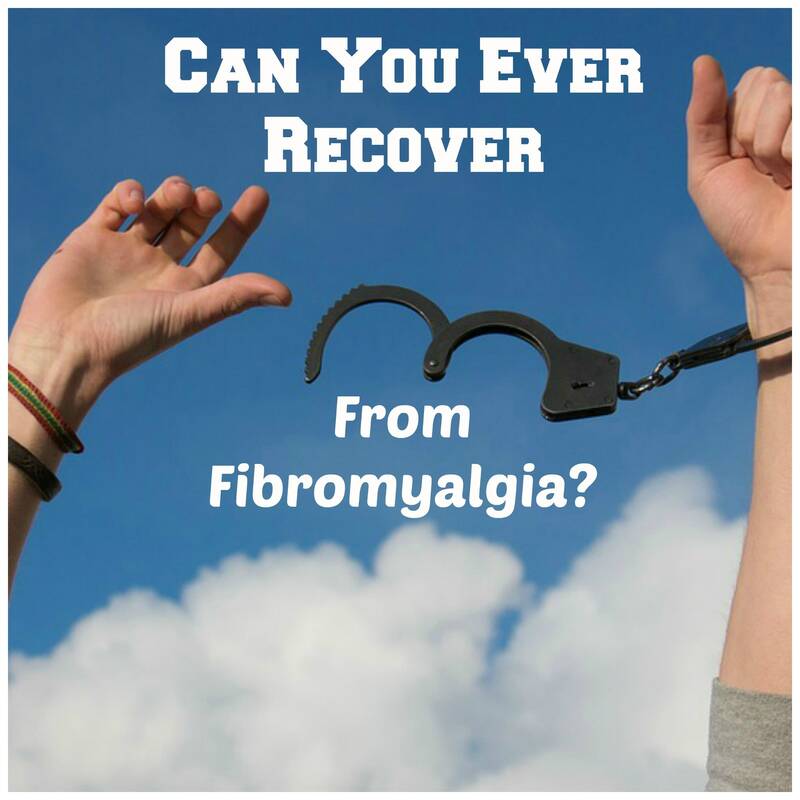 Can You Ever Recover From Fibromyalgia? The mainstream medical mindset is that fibromyalgia is a permanent condition that typically gets progressively worse. That’s probably true, if you don’t change whatever is making you sick in the first place. Bear in mind that I’m not a doctor. So I can’t diagnose or give medical advice. All I can do is share my personal perspective of getting better, after being stricken with long-standing chronic pain. I believe my condition was caused by out-of-control stress, coupled with a poor diet. In order to get better, I had to deal with these two factors. This meant removing myself from a toxic situation. Then I had to overhaul my eating habits. Foods that fueled pain and inflammation had to go. I also used a lot of natural remedies and saw some incredible holistic healers. It took years. But, slowly I began to feel better. I’m no longer crippled with pain. I can walk again and it doesn’t hurt. None of this was easy. But at least better health is possible. Or at least it was for me, as well as for a number of others. I share my own story in hopes of inspiring others to find their own unique path to wellness. Even though I’m feeling better, I don’t believe I’m cured. That’s because I’m pretty sure my symptoms would come back if I returned to my old diet, or I let my stress get out of hand again. Never being totally free of a chronic condition is something I accepted long ago. I’m just really grateful my pain level has reached the point where I can live a normal life again. So I believe I’ve recovered. But I also think it would be relatively easy to get sick again. A few days of eating the wrong kinds foods won’t send me back to square one. But a steady diet probably would. Also, some level of stress enters everyone’s life. I’ll never be totally free of stress. But I think I manage it better now. Part of this has to do with expectations. If I don’t expect much from certain people, I don’t get disappointed as easily. I’ve also learned more about narcissistic personality disorder. People with this condition are difficult. So I’m doing a lot better at staying away from difficult people. Actually, I’m convinced that avoiding toxic situations is what helped me recover. Even better though, is that I’ve developed a sort of radar to spot these individuals in the first place. I don’t invite them into my life if I see certain red flags. I can also use my experience to help others. This is part of the reason I wrote a book called How To Spot A Treacherous Person. You can read it for free by signing up below. My totaly free eBook will be delivered to your inbox. Can You Be Cured From Fibromyalgia? I wish there was a quick and easy cure for chronic pain. But this isn’t realistic. Here’s my non-medical professional opinion why. What we know as “fibromyalgia” is a complex condition that seems to involve overall poor health and excess inflammation. The way to feel better is to get healthier, which, in turn, results in less inflammation. Some inflammation is good. We need it to survive. It’s the inflammatory response that helps our body heal itself, when we’re wounded. However, sometimes the inflammation switch gets turned on, and can’t shut itself off. This results in chronic widespread body pain. For people with fibromyalgia (or arthritis, lupus and other diseases), less inflammation equals better health. So keeping my inflammation in check has been really important. Can You Heal Your Life From Fibromyalgia? The good news is that healing seems to be possible. You may not hear this from mainstream medical doctors. But alternative health experts will tell you differently. One thing I had going for me is that I firmly believed I could get better. I just had to find the right combination of remedies and healing methods. In fact, holistic practitioners may even diagnose you with adrenal fatigue. That’s because of a belief that our adrenal glands get burned out from chronic stress. This creates hormonal imbalances. If the problem is severe, we experience pain, along with other symptoms associated with fibromyalgia. The holistic healers I saw focused on helping my adrenal fatigue. They believed this was the root cause of my problem. Adrenal glands, they noted, can recover if you eat right and reduce stress. They also gave me special supplements to take, to support my adrenals while they healed. My chronic pain was especially severe. At my worst, I could barely walk. For years, I limped and dragged my right leg behind me. Now I can walk again normally. My pain is minimal and my energy level is so much better than it was a decade ago. If there’s hope for me, there’s probably hope for many others. Is It Possible To Recover From Fibromyalgia?